The prehensile tailed skink from the highlands of New Papua New Guinea has green blood due to high concentrations of the green bile pigment biliverdin. The green bile pigment in the blood overwhelms the intense crimson color of red blood cells resulting in a striking lime-green coloration of the muscles, bones, and mucosal tissues. Prick your finger, and the blood you see is red. Red is pretty much the default blood color in the animal kingdom. Some lizards have blood that's green. NPR's Nell Greenfieldboyce reports on a quest to understand why. NELL GREENFIELDBOYCE, BYLINE: These small lizards are found in New Guinea, an island off Australia. And Chris Austin says their blood is a bright lime green. AUSTIN: there's so much green pigment in the blood that it overshadows the brilliant crimson coloration of red blood cells. The bones are green. The muscles are green. The tissues are green. The tongue and mucosal lining is green. GREENFIELDBOYCE: All that green comes from high levels of biliverdin, a waste product made during the breakdown of old red blood cells. High levels of a related pigment called bilirubin can make people sick with jaundice. But these small lizards seem unaffected. That amazes Susan Perkins. She's a researcher at the American Museum of Natural History in New York. SUSAN PERKINS: I find it just absolutely remarkable that you've got these lizards that have a level of biliverdin that would kill a human being. And yet, you know, they're out catching insects and living lizard lives. GREENFIELDBOYCE: Scientists assumed the small number of species with this green blood must be closely related. But Austin says the lizards actually look and act very different from each other. AUSTIN: Some are lowland tropical species that lay eggs. And other species are highland species that give birth to live young. GREENFIELDBOYCE: So he, Perkins and their colleague Zach Rodriguez created a kind of lizard family tree with the help of DNA from 51 lizard species, lots of red-blooded lizards and six species with green blood. Austin says, it turns out that those old assumptions were wrong. AUSTIN: All the green-blooded lizards are not each other's closest relatives. GREENFIELDBOYCE: In fact, it looks like green blood evolved independently four separate times according to their report in the journal Science Advances. If that's true, the question is - why? 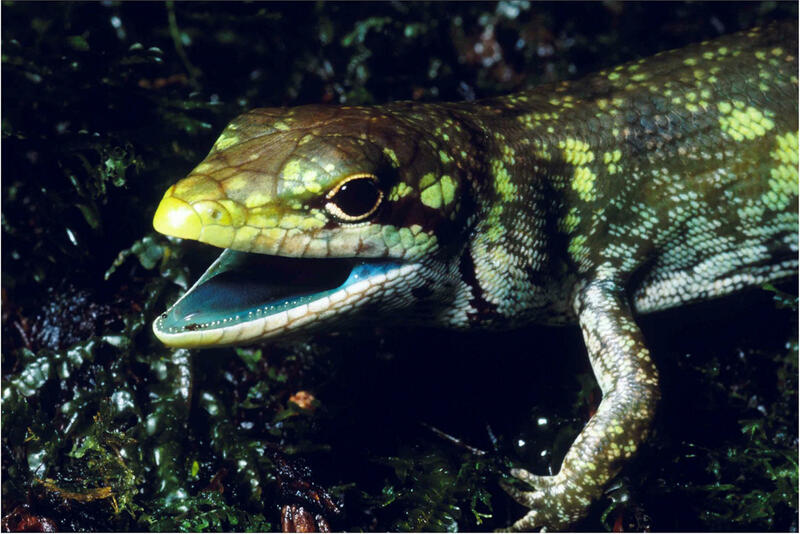 At first, Austin thought the green pigment might deter predators by making the lizards taste bad. But he tried eating both red- and green-blooded lizards raw for science and found no difference. AUSTIN: You know, bad sushi, maybe. 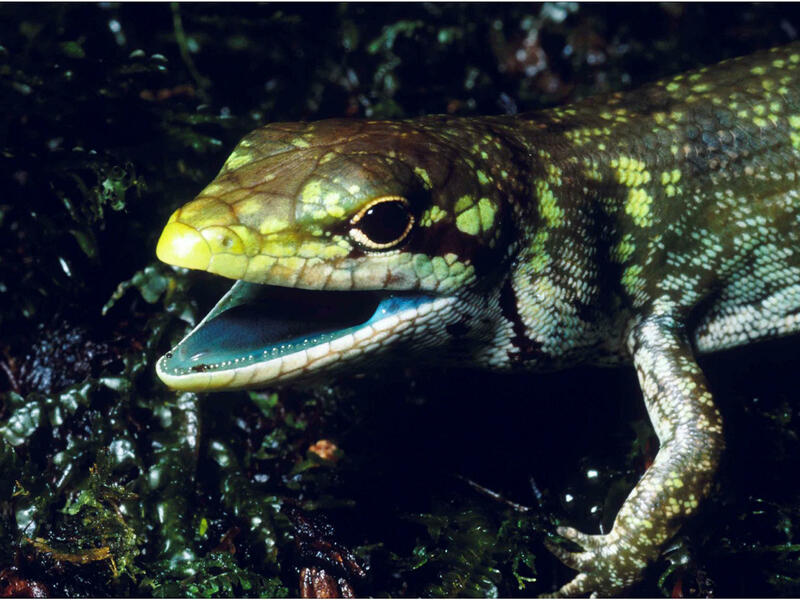 GREENFIELDBOYCE: He and his colleagues now believe the green blood might protect against blood parasites like malaria, which is a problem for lizards just like for humans. (SOUNDBITE OF B12'S "OBSESSED") Transcript provided by NPR, Copyright NPR.